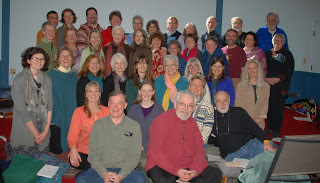 The Maine sangha, the community that lives in harmony and awareness, blossoms like a lotus. 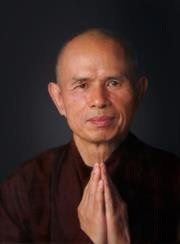 We had a wonderful transmission ceremony for the Five Mindfulness Trainings at the Day of Mindfulness with Joanne Friday in Augusta on Saturday. The day included a dharma talk and question and answer period from Joanne, mindful eating of our lunch in noble silence with a children's table, a mindful walk outside, and dharma sharing in the closing circle.